Leicester City manager Claude Puel oversaw a convincing victory on his return to Southampton as the Foxes claimed their fourth consecutive Premier League win. Shinji Okazaki's fierce early effort had been saved by Fraser Forster, before Riyad Mahrez struck a left-footed shot to put the visitors in front on 11 minutes. 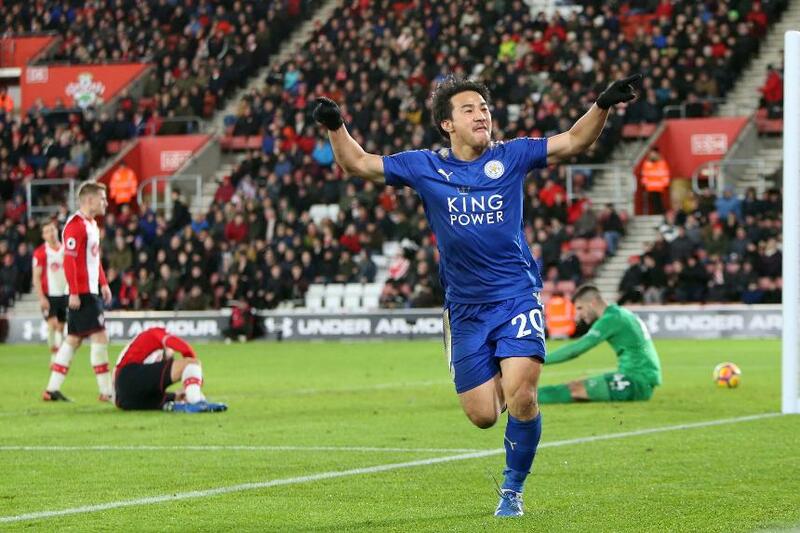 Okazaki, pictured, doubled the lead from close range on 32 minutes before Andy King made it three six minutes later from Harry Maguire's cross. Southampton rallied after the break and Maya Yoshida pulled a goal back on 61 minutes but Okazaki sealed the win with his second with 20 minutes to go.